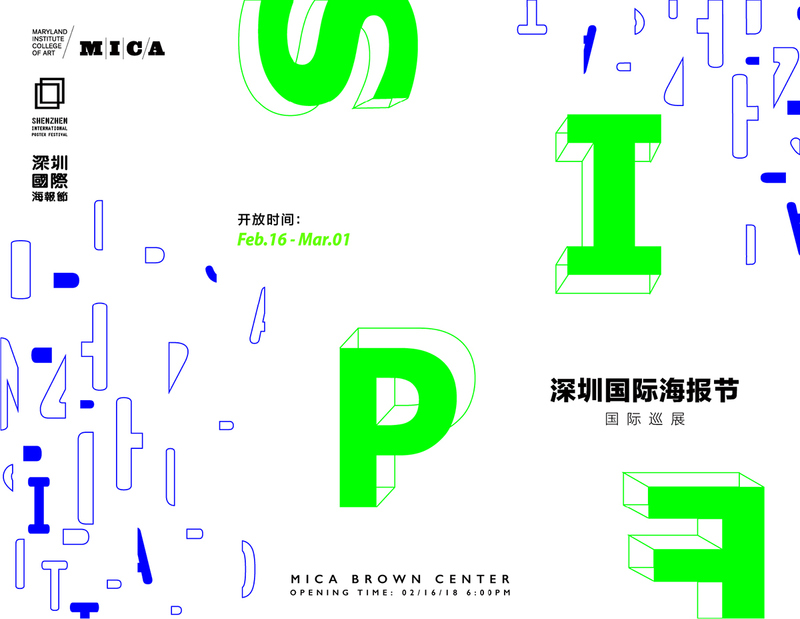 The Shenzhen International Poster Exhibition, currently on view at MICA, showcases work by an international roster of artists and designers. 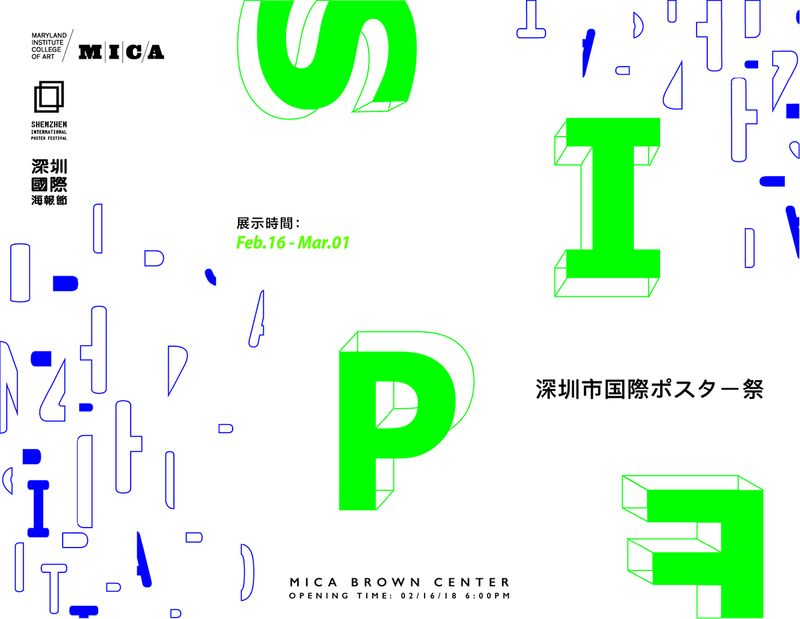 This is the first time the exhibition has traveled to the US, after a previous tour stop at the University of the Arts in Poznan, Poland. 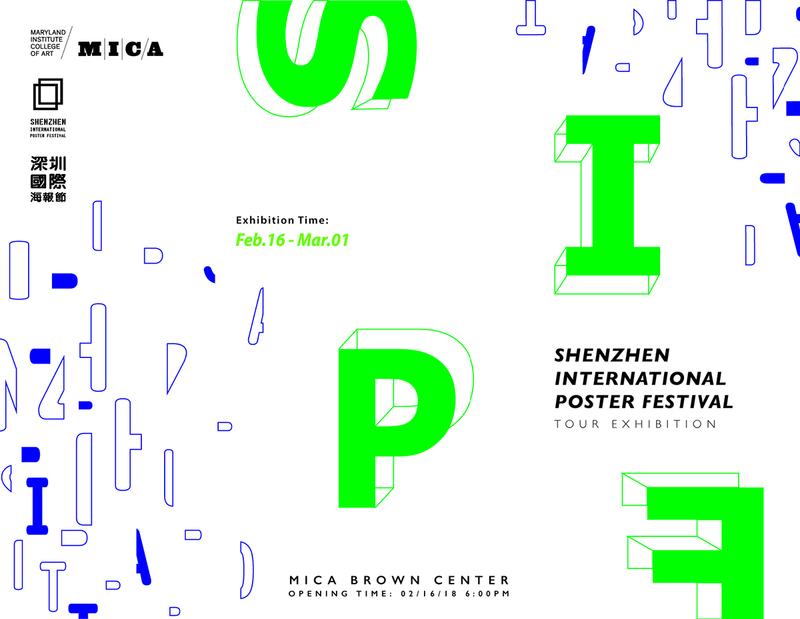 This poster is a promotional poster for The Shenzhen International Poster Festival at MICA. 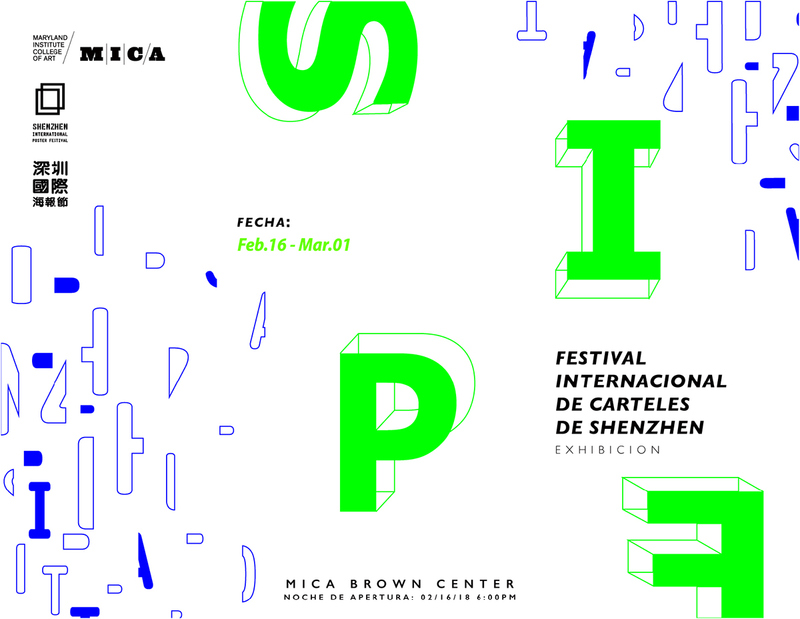 Designed by Xiaolin Yuan, the poster combines the primary colors of the festival and the general feeling of the show. 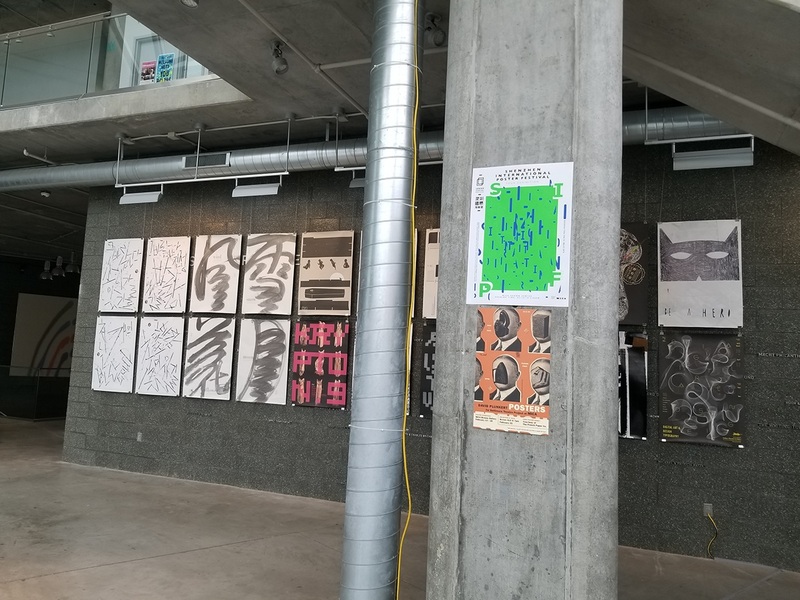 Promotion poster on 3rd floor of Brown Center. 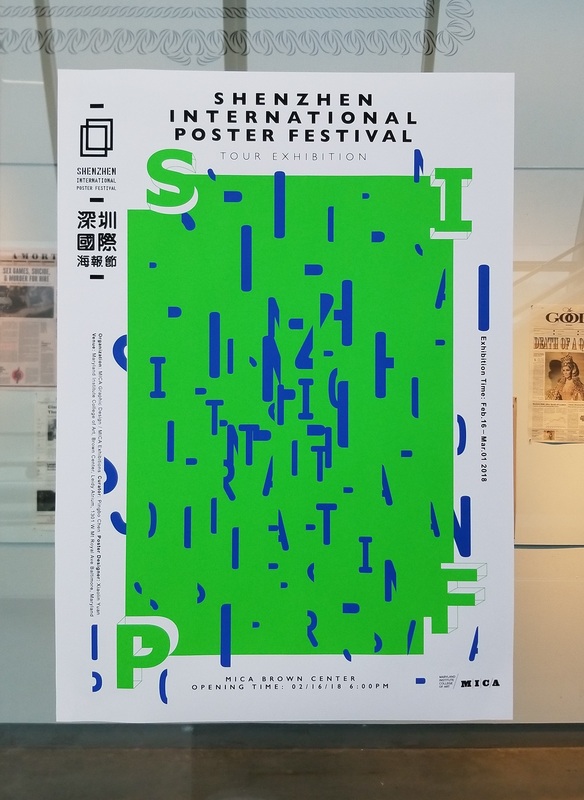 A view of the promotion poster together with the posters on show. 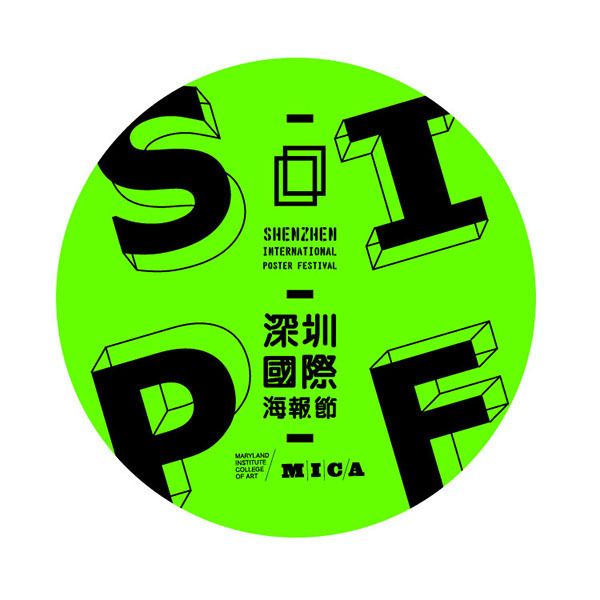 Sticker design that goes together with the Promotion poster for the Shenzhen International Poster Festival. 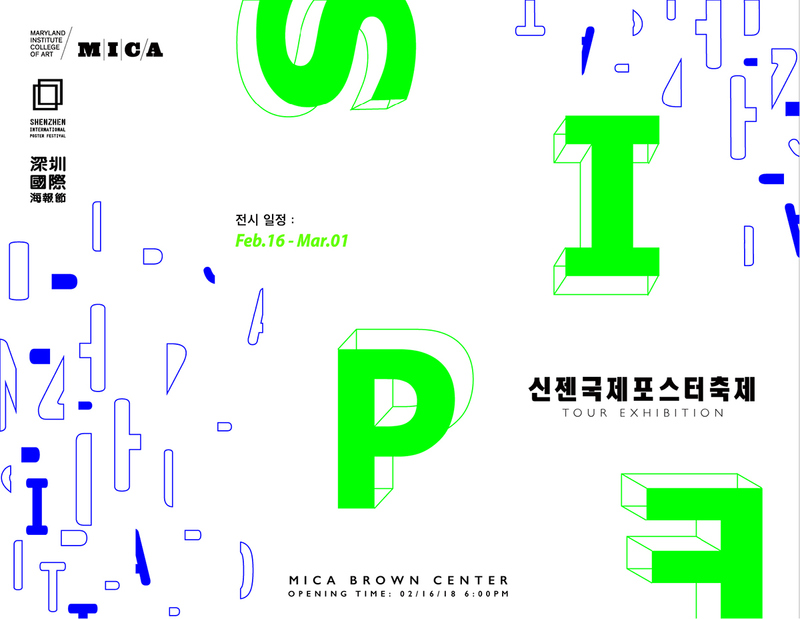 Postcard design for the Poster Festival Exhibition. 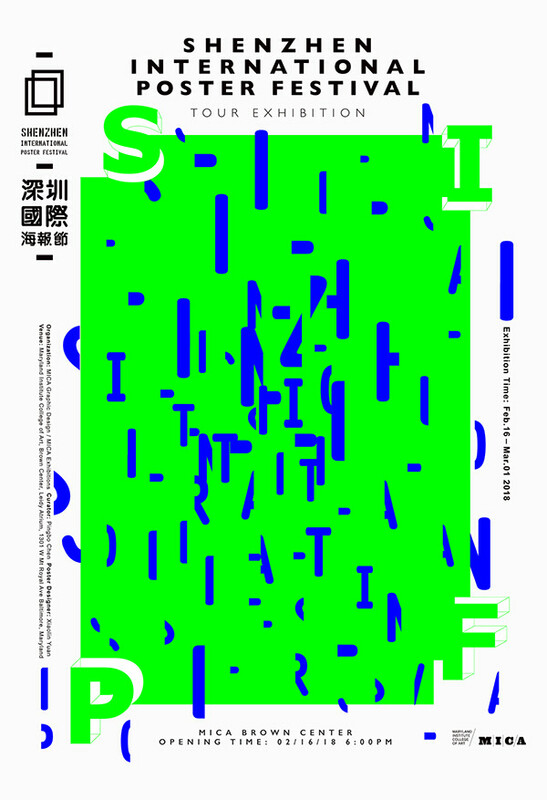 Collaborate with Freya Qi, Tianyi Ba.